VietNamNet Bridge – An underground pipeline of 240 km long will be built to link from the Sekong and Attapeu plateaus of Laos to Quang Nam province of Vietnam, with a total investment of approximately $250 million. Each year, the transmission capacity of this underground pipe is estimated at 7-10 million tons of bauxite ore, through the port of Ky Ha. 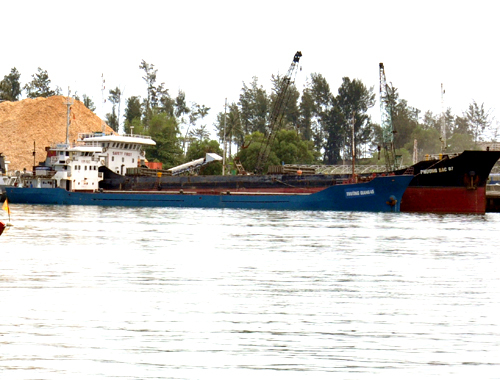 The Quang Nam Provincial People’s Committee has allowed the Vietnam Import Export and Construction Corporation (Vinaconex) and its Lao partner – the Laos Minerals Company, to build a pipe to transport bauxite from the Laos to the Chu Lai Economic Zone. According to Vinaconex, the bauxite mine in Sekong and Attapeu plateaus are at a height of about 1,150 m, with reserves of 300 million tons of ore. The pipe to transport bauxite to Vietnam will be about 240 km and will be designed at the highest standards of the pipeline manufacturing industry. The control system will be computerized. Each year, the transmission capacity of this underground pipe is estimated at 7-10 million tons of bauxite ore, through the port of Ky Ha in the Chu Lai Economic Zone. Total estimated capital investment for this pipe is about $250 million (not including operating expenses and taxes). The pre-feasibility report will be completed in November.